Every sports team has its ups and downs throughout any given season. But for Palumbo, there weren’t really too many downs. If you ask senior Frianna Gultom, the key to the Academy at Palumbo’s varsity girls volleyball team’s success was the family mentality all the girls possessed. Every sports team has its ups and downs throughout any given season. But for Palumbo, there weren’t really too many downs. 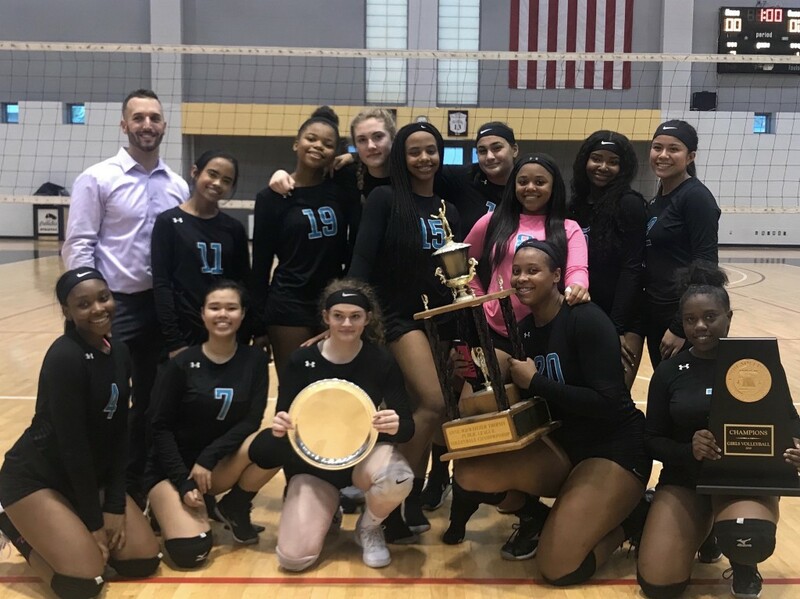 The team went 12–0 in the regular season and 5–0 in the playoffs, defeating Central High School in the AAA high school volleyball championship on Oct. 31. The championship was a rematch of last year’s championship, but with a different result this time. Central’s record for the season? 15–2. Central’s only two losses were to Palumbo — once in the regular season and the second in the championship. But Palumbo coasted through the regular season, and four of the five teams it played in the playoffis (Jules E. Mastbaum High School, Walter B. Saul High School, Frankford High School and Strawberry Mansion High School). In fact, the team won every single game three sets to none in the best-of-five-set format all teams play. The only exception was the championship game vs. Central, in which Central handed Palumbo its only losing set of the season, 3–1. One of the biggest struggles of the year was Green’s off-season shoulder surgery. Early in the season, she was a little rusty coming off the injury. She finished rehab in the beginning of June. Slowly but surely, Green turned back into her old self. But that wasn’t the only struggle. The girls and their coach admitted maintaining that family mentality wasn’t always easy at times. “It was hard to deal with each other a lot of the time because all of us have clashing personalities,” said senior Taylor Scott. The seniors and Goldstein all agreed the team’s sophomore class played a huge role in this year’s success as well, and is the reason Palumbo has a good chance of staying competitive in the near future despite losing four key seniors to graduation. Ellie Benedict, Jael Hillard, Aasiya Craft-Williams and T’Ronnie Dorsey were just four of those key sophomores. “That sophomore group — if something’s going on or if someone’s having a bad day…[one of them] can go in and not skip a beat,” Goldstein said. Many of the seniors, like Green, said they took on more of a mentorship role than in past years.